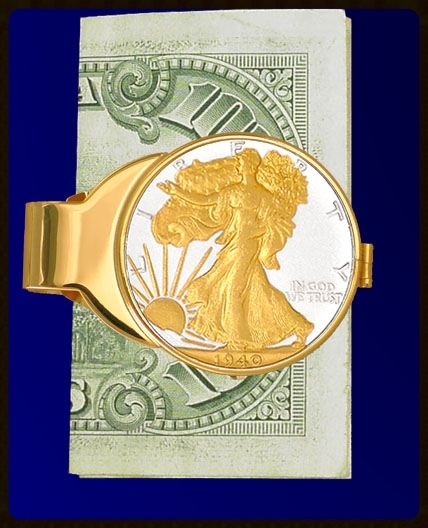 Walking Liberty silver half dollar coin, pure 24kt gold highlights, spring-loaded money clip. The Walking Liberty Half Dollar is considered by coin collectors to be among the finest coin designs ever created. 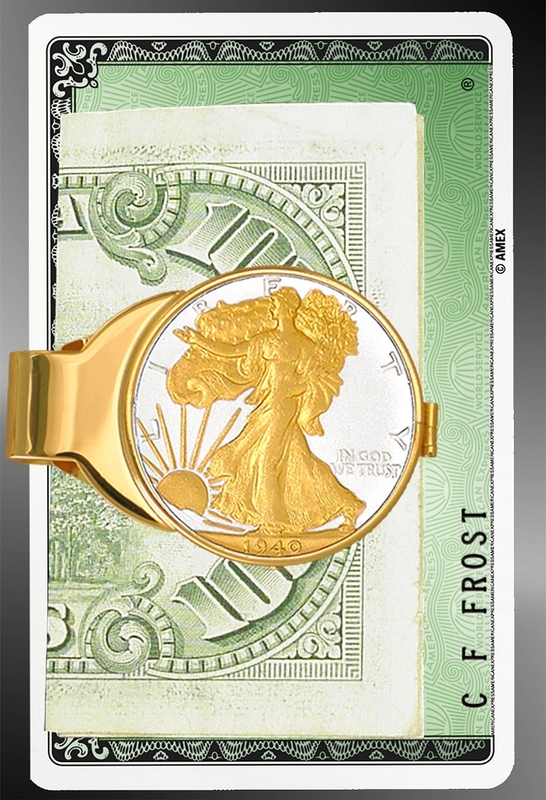 The US Mint, in acknowledgment of its artistry, adopted the same design since 1986 to be used on the US Silver Eagle Dollar. 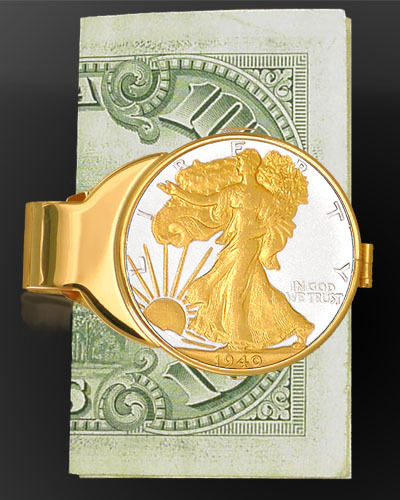 Lady Liberty is enhanced in a precision overlay of 24K gold protected by Lenscote. This piece may be used and enjoyed for many years and will easily become a sentimental favorite. 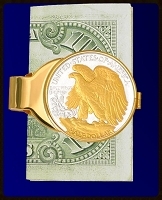 The hand polished money clip is generously layered with a full 1.0 micron of 24K gold and features a patented spring action that holds even a single bill snugly. Certificate of authenticity, unique numbered signet and lifetime warranty against defect included. The 1944 Liberty Money Clips is exactly what I was looking for. Sealed, made of high quality materials, excellent workmanship, the date I wanted and a Liberty Eagle. It will hold one dollar just as easily as it does several along with credit cards. 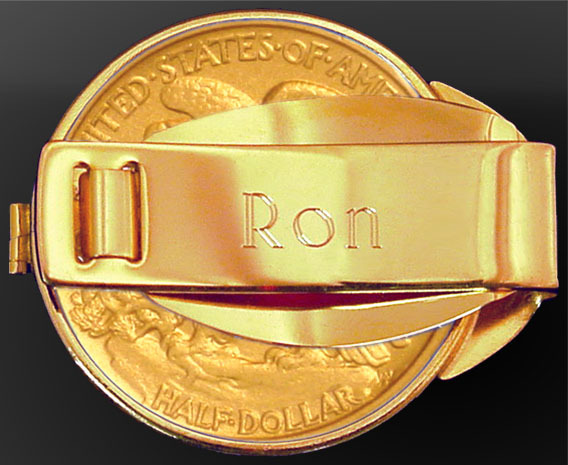 I strongly recommend this money clip to any one that is looking for a high quality coin money clip. It's beautiful! It was an anniversary gift for my husband.... he says he hates to use it because he's afraid he'll lose it. But he's using it & it is a functional as it is beautiful. Inscription was perfect, too!